The objective of this learning resource is to provide a developmental tool for students, recent graduates and junior physiotherapists at a time where integration of health and social care is both a priority and necessity to reduce pressures on the National Health Service (NHS). Through the discussion of five emerging roles, this aims to give them the knowledge and confidence to expand their future physiotherapy practice from what was once a traditional ‘mono-role’ into something advanced, exciting and current . Following junior clinical years, allied health professionals inevitably branch into specialisms as their career progresses. This puts them in key positions to explore current emerging roles and alternative physiotherapy pathways to accomodate the ever-changing population and a result physiotherapy practice is being undertaken in a variety of untraditional settings that would have originally been unheard of. "The contribution of physiotherapy to the nations health has often been underrated...get data on outcomes, research objectively and show what you do and why it is cost-effective...take physiotherapy over bridges into areas where it hasn't been traditionally." "You are the hope for the future, you can transform healthcare and take it to places that managers, doctors, nurses can't do on their own. They need you, you're essential. Go out there and be confident in bringing about changes". This resource is an informative package for current students, recent graduates and junior physiotherapists covering five emerging physiotherapy roles within the NHS. We will explore these roles independently and analyse how these fit into the 20:20 vision and the The National Delivery Plan for the Allied Health Professions in Scotland 2012-2015 . We will also consider the pressures on the NHS at present and how each of the emerging roles we have decided upon will impact NHS service provision. In order to facilitate the reader's understanding of the information presented, we have included direct quotes from various professionals working in these roles and also some video interview links in order to gain greater insight into their views and experiences. We are aware that divergences from traditional clinical practice are extensive and as a result there are many other roles that we will not be covering in this resource. We have therefore put together a lengthy reference list for which the reader to utilise at their leisure. The five following roles have been selected for review as they have all been recent topics of discussion in the physiotherapy magazine"Frontline" and also at the annual physiotherapy UK conference and trade exhibition 2015 in Liverpool. The roles we have selected all direct from the main theme of the resource, which is relieving pressures on the NHS. In order to set the scene for the discussion of these roles, we have included information regarding different levels of physiotherapy practice and workforce development. This is aimed at enhancing the reader's baseline understanding of physiotherapy career pathways. 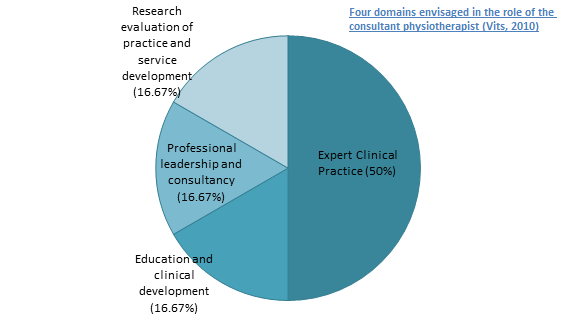 In order to set the scene for the resource, we have provided the reader with a brief overview of the key levels of physiotherapy practice.Currently there are 51, 044 registered physiotherapists working in the UK. To be a band 5 junior physiotherapist, you have to hold a degree or diploma in physiotherapy, be registered with the HPC (Health profession Council) and a member of a relevant professional body (Charted society of Physiotherapy). Clinically, you will be under supervision of a band 6 physiotherapist. When a applying for a band 5 physiotherapy job, there are many roles and responsabilities expected of a junior physiotherapist. Here are some examples from a standard band 5 physiotherapy job in NHS Lothian. They are responsible for the overall physiotherapy management of patient care including patient assessment and formulation and execution of their treatment programme, to liaise directly with other Health Care Professionals (HCP) regarding patient treatments and progress, dealing with daily challenges/problems relating to patient care, to undertake any other appropriate duties as required by the rehabilitation manager or the respective senior and to actively participate in the in-Service Training to develop their knowledge and understanding. To become a band 6 physiotherapist you must specialize in a specific area of physiotherapy, for example paediatric orthopaedics. Requirements for current band 6 positions within the NHS are as follows: qualified physiotherapist registered with the HPC and a relevant professional body (Chartered Society of Physiotherapy), a minimum of 1 year NHS experience. The following are some examples of the main duties and responsibilities of a band 6 MSK physiotherapist at the Borders General Hospital (NHS Borders). In this role you will be expected to undertake comprehensive assessment and diagnosis of patients with a wide variety of physical, and emotional needs. To formulate, deliver, review and progress individual treatment programmes, ensuring effective treatment, specialist advice and timely discharge is achieved. You will also be responsible for organisation, prioritisation and planning of own caseload. 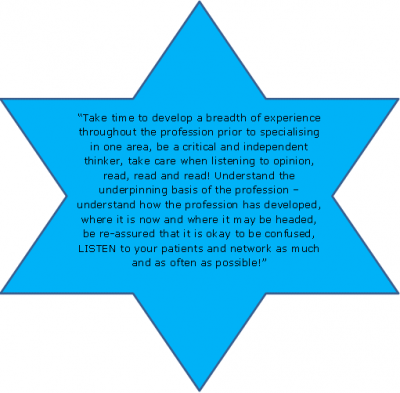 You will ensure that your own Clinical Professional Development contributes to the quality of practice and service delivery. To maintain an up to date and accurate portfolio of own CPD and to identify gaps in service to line manager. It was during the Vietnam War that advanced practicioner roles for physiotherapists first emerged in the United States, and for around 20 years have been part of the national health framework for allied health professionals in the United Kingdom. The real contribution of Advanced AHP Practitioners is being innovative in their thinking around service provision, being a role model and mentor to junior practitioners, having excellent communication skills and working productively in new models of service delivery. Currently the roles and responsibilities of advanced practitioners are defined by the setting in which they work. Leadership and management are two major responsibilities of practitioners working in AP roles. The following picture on the right shows the 4 pillars of advanced practice. 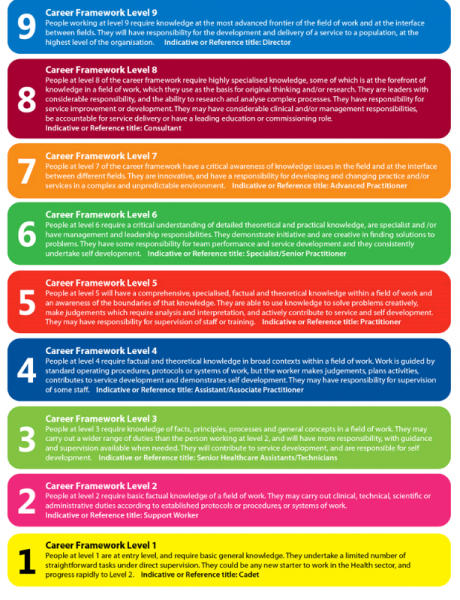 The career framework of health, as shown above is a 9 level framework whereby roles are grouped according to their level of responsibility and complexity in clinical practice, and the level of education and experience required for the job. 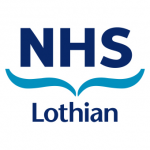 Advanced practitioners are required to have a Masters degree according to the Scottish Credit and Qualifications Framework (2009) and they will typically work at level 7 on the Career Framework for Health. The picture above, on the left shows the journey advanced practitioner Annalisa Newson has taken to get to where she is today. Extended scope practitioners are physiotherapists working at a high level of expertise who have extended their practice and skills in a specialized clinical area. Examples of extended areas of practice will be discussed in this resource, including injection therapy and prescribing rights. ESPs work in primary and secondary care, and they examine patients referred for orthopeadic triage by a GP. ESPs work alongside medical professionals due to growing demands on doctors and medical consultants. They are able to order scans, x-rays and blood tests, basically encompass tasks that may have previously been undertaken by the medical profession. They are also able to do injection therapy and prescribing with the accredited training and courses. The patient’s management is also determined by the ESP through a series of investigations. Referrals can also be made to physiotherapy or other disciplines such as podiatry or orthotics. The UK is a world-leader in physiotherapy, with physiotherapists working with greater autonomy and challenging practice. According to the GNC the UK has more specialist than most and it has been suggested that other countries such as Australia look to the UK service for innovation in the development of their own practice . Back in 2002, the first consultant Physiotherapist, Dr Paul Watson was appointed at University Hospitals Leicester Trust. 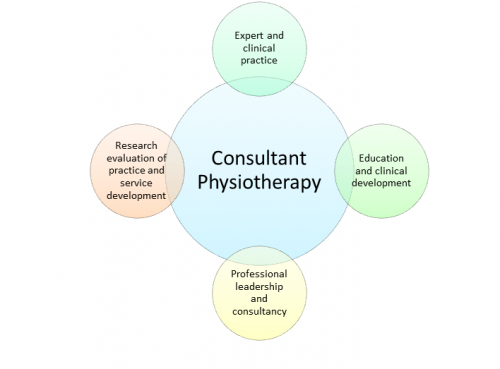 Consultant Physiotherapists go beyond the boundaries of the profession, providing leadership and strategic vision through four main domains: expert and clinical practice, education and clinical development, professional leadership and consultancy, and research evaluation of practice and service development. These areas were envisaged as being fundamental in the development of an allround professional, providing post-holders with opportunities to develop their career pathways, impacting clinical protocols and service provision. It was viewed that these consultants could operate as primary practitioners, shifting care from hospitals into the primary care setting helping to cut waiting times. Challenging The Department of Health’s 2001 target of 250 new consultant allied health professional (AHP) posts by 2004 was the lack of allocation of appropriate funding to support these new posts. In 2009 it was calculated that approximately 123 consultant AHP posts were occupied nationwide, 64 of which were thought to be registered consultant physiotherapists, the largest of all AHPs. 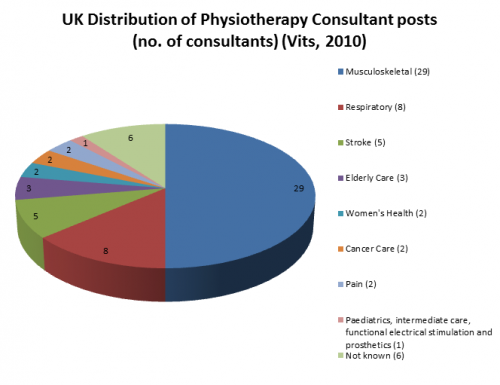 The distribution of consultant physiotherapists to this point is dominated by the musculoskeletal speciality with 29 consultants in this area registered in 2009. Consultant physiotherapists are usually salaried equivalent to a grade 8a-d on approximately £35,232 to £73, 281 (2006 rates). Becoming a consultant physiotherapist is a career goal high on the list of many aspiring physiotherapist, graduates and current students. However this pathway requires utmost commitment. Vits analysed that all registered physiotherapy consultants in 2009 had been educated at least to Master’s degree level, with many possessing doctorates. Back in 2002 following Dr Paul Watson’s appointment, he made his beliefs of the position known, suggesting that in order to use your skills as a consultant usefully, you must take a step back and look at what is important to the service through appraising existing information and proposing advancing service provision . Watson defined the role as being more about strategic planning than administration, sussing out what is important for the area and challenge the existing evidence. However, the role of the consultant physiotherapist varies considerably between settings, depending largely on individual preference and methods of working. For instance, managerial roles can take presence over research and vice versa . A major challenge facing these professionals is achieving a a balance between clinical practice and academic effort. Following qualification as a physiotherapist and working in a specialist area, originating at The Wessex Deanery, Otterbourne, Hampshire, is a 3-6 year training programme for consultant practitioners. The course syllabus consists of clinical practice in addition to academic research, teaching and service development, thereby offering training across all four physiotherapy pillars at consultant level. Also included are independent prescribing and phlebotomy components leading to a Master’s, PhD or professional doctorate. Throughout the course, AHPs are also given the opportunity to attend conferences and shadow senior consultants, instigating great trust in other medical professionals  ). Prior to application, applicants must exhibit clinical fineness and leadership potential, they must have a minimum of one year’s experience at the equivalent of Agenda for Change band 6 level. However, following training there is no guarantee of a consultant post becoming available to qualification holders meaning often returning to lower posts initially  . The effectiveness of consultant posts in clinical practice and patient care was studied by Guest et al. in 2004. They explored leadership and how current consultants modify and craft the role in order to remain motivated and committed. It was found that consultant practitioners tend to adjust how they spend their time, with evidence of least time being spent in actual clinical practice. Reasons for these differences are likely to be because prior to taking up the consultant post, clinical practice had been their main priority. Most of the consultants analysed by Guest et al. described their jobs as busy but satisfying and believed they were having a positive impact on patient care. Despite this, budgets inclusive of this post are being reduced across NHS boards and without succession planning; it is likely that the consultant post will disappear as the NHS evolves to accommodate changing patient needs. Since 1948, the NHS workforce has erupted from approximately 144, 000 staff to a current 1.4 million in England alone with over 300 organisations  . By 2033 over one quarter of the population will be aged over sixty-five. It is widely known that staff employed by the NHS intend to provide patient-centred care of the utmost quality. In 2008 the Department of Health’s NHS next stage review intended to provide a vision for NHS staff to maintain this degree of excellence and outline a bottom-up approach to service provision. This report also summarised the proposition made by the NHS to ensure that students and recent new trainees, gain the depth and breadth of knowledge and experienced they need for adequate progression in clinical practice. In most health organisations AHP career pathways are well established with junior practitioners progressing into clinical specialists, extended scope or advanced practitioners with a consultant role often being the pinnacle career goal. However, 2008 saw the launch of a UK-wide ‘Modernising Allied Health Professions Careers’ project, more recently known as Skills for HealthThis web-based tool was constructed to target AHPs planning more flexible and alternative career pathways to ensure breath and depth of expertise and maximise future employment opportunities. This resource provides professionals with a framework of competencies and includes a web-based resource documenting AHP and support worker roles. The Chartered Society of Physiotherapy (CSP) furthered this by providing a physiotherapy specific online resource for members to keep their knowledge and skills updated. This includes a set of learning and development principles, the code of professional values and behaviour and a framework of physiotherapy knowledge and skills hoped to be of use to current practicioners. It has been suggested that by offering greater clarity of accountability, responsibility and primary roles at all levels, this will lead to enhanced future workforce planning and training commissioning, ensuring that the in the future, patients will have access to a paramount level of care for their needs.In support of the 2020 vision to achieve a first class integrated workforce in the UK by 2020, this is hoped to aid planning and service redesign paying particular attention to leadership and the capacity and capability of AHPs. In addition to training, from a commissioner’s perspective these tools help to develop services by maximising the potential of AHPs to play a larger role in transforming care, having the competency to work across organisational boundaries . Academia, research and management job opportunities have shifted the focus from effective clinical practice to ensuring this practice is evidence-based and up-to-date and is able to respond efficiently and effectively to accommodate changing service requirements. According to Framework 15 attracting and recruiting the right people into training programmes will benefit workforce planning for the future. Each year Health Education England (HEE) invests £4.8 billion of it’s £5 billion budget on education and training of this prospective workforce  to drive healthcare changes. However this said, 60% of this is spent on doctors making up 12% of the workforce while AHPs account for 40% of this population. The Department of Health anticipate that in 10 years time, 60% of the current healthcare workforce will still be providing NHS services. Thus supporting them through career frameworks will help to fulfil their individual potentials. 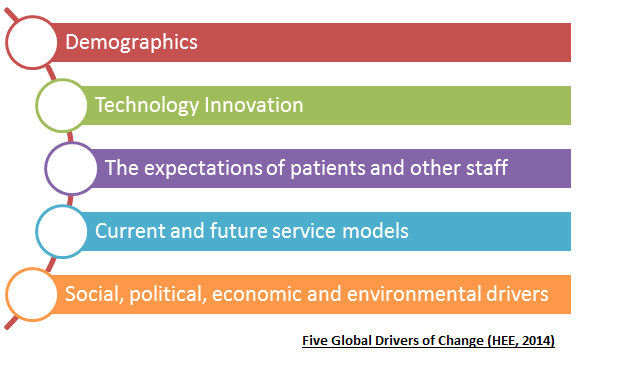 In the Framework 15  document there are five global drivers of change. These are demographics; technology innovation; social, political, economic and environmental drivers; current and future service models and finally the expectations of patients and other staff. Workforce planners will utilise these factors when balancing an expected demand with an efficient demand . General Practitioners in the UK are suffering from an unstainable workload, which is negatively impacting appropriate appointment times with patients. Despite this, the government continues to push for GP surgeries to be open 7 days a week. If these plans go ahead, the strain placed on them will continue to grow. 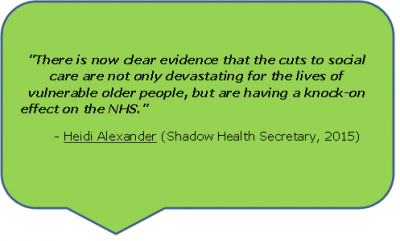 If drastic changes are not made to the way care is delivered, it is highly likely the NHS will reach breaking point. This article, is one of many highlighting the current issues surrounding primary care in the UK. An unstainable workload has caused great unrest among GPs, leading to the looming GP crisis. A survey of 1,004 GPs in the UK, as part of the 2015 BBC’s Inside Out programme found that 56% said they plan to retire before they turn 60. The workload, out of hours working and volume of consultations were some of the reasons for this. A summary of the findings can be found here. Due to a lack of government funding and the likely shortage of GP’s, the role of physiotherapists in primary care is currently being explored. The importance of the profession in the future of primary care is highlighted in a report by the Primary Care Workforce Commission (2015). The report endorses self referral to services and highlights the potential benefits of physiotherapists working alongside GPs, as a first point of contact for patients. Physiotherapists pride themselves for being autonomous in assessing, diagnosing, treating and discharging patients. Some advanced practitioners and extended scope practitioner physiotherapists are trained to prescribe drugs and provide injection therapy to patients. 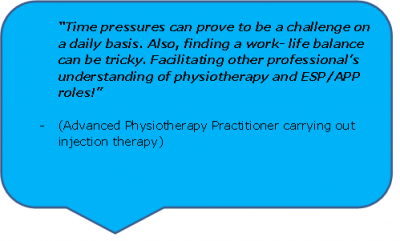 The quote on the right is taken from the CSP leaflet: physiotherapy works for primary care . A link to the leaflet can be found here. Rachel Newton, the CSP’s head of policy, has asked for CSP physiotherapists with experience of working in primary care to come forward and share their experiences. She told Frontline magazine “Evidence from members is essential to making the case to decision makers for the potential for physiotherapy within primary care” . The group was set up for CSP members to share experiences and benefits of physiotherapy in primary care. Question: Isn’t self-referral to physiotherapy the same as seeing a physiotherapist in primary care? Answer: No. As with any self referral to a health service, you will still be placed on a waiting list. Ideally waiting times for Physiotherapist working in primary care will be the same as for GPs. The main proposed benefit of physiotherapists working in primary care is reducing healthcare costs. It is estimated that MSK conditions make up 30% of a GPs appointments, yet 85% of those do not need to see a GP . If patients were offered different professionals as their first point of contact, a huge number of GP appointments would be made available. 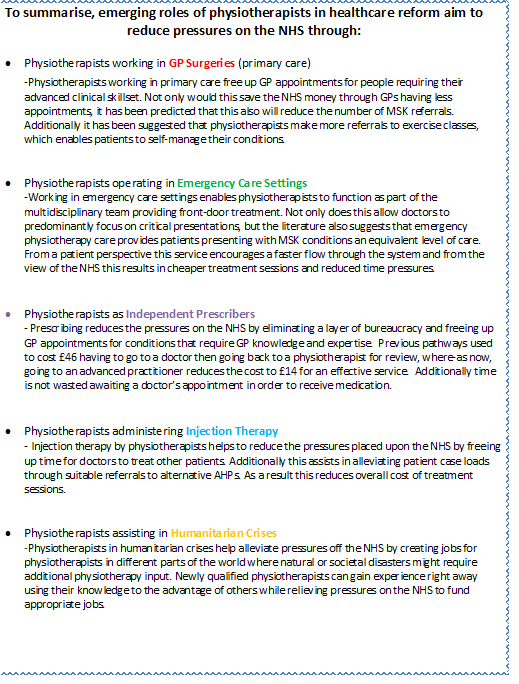 The following costs saving benefits have been suggested by a CSP leaflet: physiotherapy works for primary care . However, there is no reference provided for these statements, therefore their relevance is questionable. An article in Frontline magazine  describes the need for physiotherapy as a profession to adapt and expand in response to the NHS England’s Five year forward view . This calls for a step change in the integration of services to improve primary care. The frontline article is focused on the 5-year journey of Amanda Hensman-Crook, formally a band 8a physiotherapist. 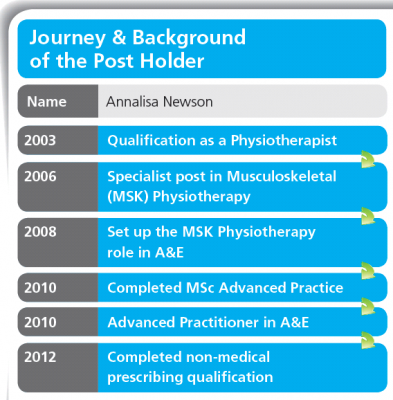 After a successful 3 month pilot working alongside GPs, she was offered a permanent post at the GP practice, under the new title of MSK practitioner. Her pilot was based on estimates that approximately one in three GP consultations are MSK related. An audit of the service since June 2015 suggests a 20% fall in referrals to secondary MSK treatment. GPs and patients were found to be very happy with the service. A downside of this innovative service is that physiotherapists in this role will have shorter appointment times with patients. 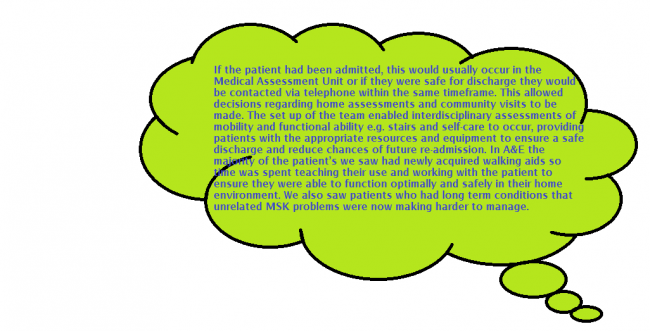 According to the article, the Hampshire service offers a 20 minute consultation, which is half the typical appointment time for a secondary care MSK service. This shows that physiotherapists can be effective in working alongside GPs as a first point of contact. If physiotherapists have the required knowledge and skills, they can relieve some of the pressures on GPs in primary care. The reduction in referrals to secondary MSK treatment highlights the money saving benefits of this system. *One year university courses, such as the MSc advanced practitioner physiotherapist course at the University of East Anglia. These courses offer further learning for qualified physiotherapists in advanced areas, such as independent and supplementary prescribing. *A high level of experience is required by employers. Band 5 physiotherapists will first have to specialise in one area of physiotherapy (band 6) and then gain considerable experience in this area. Band 7 physiotherapists are expected to take up a leadership role within the team. This includes helping less qualified physiotherapists further their learning through CPD exercises. They are also expected to be comfortable managing complex cases and be experts in reviewing emerging evidence within their area of specialised knowledge. A barrier to progressing to advanced practitioner level is course fees for advanced physiotherapy masters courses. Fees range from £7000 for UK/EU students to £15000 for international students. As working in primary care is an emerging role in physiotherapy the NHS is still piloting the idea around the UK. As a result, there is no recognised progression pathway beyond reaching an advanced practitioner level of expertise. A study by Ludvigsson and Enthoven  evaluated physiotherapists as primary assessors of patients with MSK conditions. 51 patients with a MSK disorder were primarily assessed by a physiotherapist and 42 by a GP. Participants completed a patient satisfaction questionnaire. It was concluded that physiotherapists can be used as primary assessors of MSK conditions in primary care, as few patients needed additional GP assessment. The physiotherapists were found to be capable of identifying confirmed serious pathologies and patient satisfaction was higher with physiotherapists than GPs. The participants who were seen by a physiotherapist felt confident in the information they received and the support to self-manage their conditions. The main limitation of the study, acknowledged by the authors was the participants were not randomly allocated to be seen by a physiotherapist or GP, thereby researcher bias is not excluded. A study by Pinnington, Miller and Stanley  evaluated prompt access to physiotherapy in the management of low back pain in primary care. The authors identify the issue of delays in getting access to specialised treatment in patients with low back pain. In the study, physiotherapist-led back pain clinics were established. Results were compared to other published interventions from the literature. Data on pain, disability and well-being were collected at recruitment and 12 weeks later. The patients maintained diaries and GPs were interviewed before and after the study to obtain qualitative data. Comparative costings were derived from national and local sources. Results showed that more than 70% of the 614 patients seen only required a single visit and the majority of the patients were seen within 72 hours. Prompt access to physiotherapy reduced time taken off work and cost less per episode of back pain, compared with normal management. Qualitative data showed that patients valued early access to physiotherapy, particularly for reassurance. 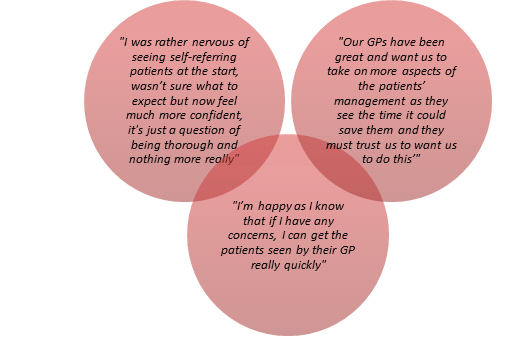 GPs also praised the service, largely due to the positive patient responses. This study shows the cost effectiveness among benefits of using physiotherapists as a first point of contact for patients with low back pain. This is more significant given low back pain is the most commonly presented MSK condition . A limitation is the study is from 2004, therefore the practices used by the physiotherapists are likely to be outdated. The study also does not specify the level or qualifications of the physiotherapists. Holdsworth, Webster and McFadyen  investigated physiotherapists and GPs views on self-referral and physiotherapy scope of practice. Data was gathered using a survey questionnaire, with both qualitative and quantitative questioning. They found the idea of physiotherapists working as first point of contact is strongly supported by the majority of physiotherapists and GPs. Potential benefits for patients were identified if physiotherapists adopted extended roles within a MSK setting, such as injection therapy and prescribing medications. The Betsi Cadwaladr University Health Board  in North Wales published results from a pilot study, in which advanced MSK physiotherapy practitioners are working in GP practices. It shows an additional 671 appointments were made available during the six-month pilot phase. Around one third of the appointments were MSK related which helped free-up GPs to concentrate on other patients and more complex cases. This data is from a National Health Board website, therefore can be deemed reliable. In summary, an expansion of physiotherapy within primary care provides an immediate solution to GP shortages and delivers the transformation of primary care needed for a sustainable health system tailored to modern population needs . More clarity is needed on how to reach these roles working alongside GPs in primary care and the additional qualifications required. 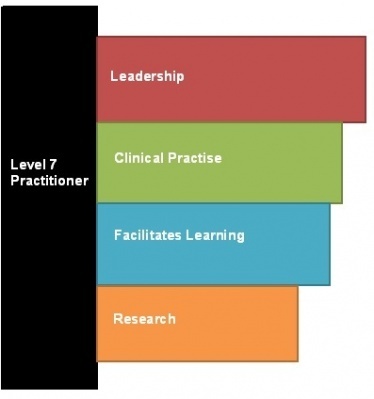 As the concept of physiotherapists working alongside GPs is at the piloting stage, there is currently no established pathway beyond reaching an advanced practitioner or band 7 level of expertise. Because of this there are currently no postions in primary care being advertised for physiotherapists in the UK. From the research there appears to be no disadvantages of using physiotherapists as first point of contact as for MSK conditions. 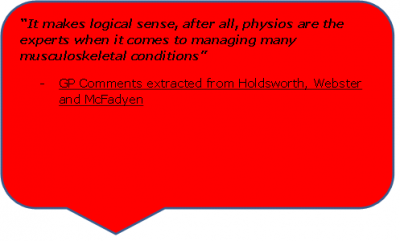 It is woth noting that the studies in the literature only use physiotherapists for MSK conditions. The ability of physiotherapists working in GP practices to assess, diagnose and treat patients with other conditions, such as neurological ailments remains to be seen. 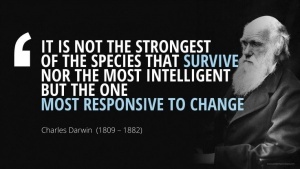 One challenge is training physiotherapists to the required level of expertise. However, the experience as working as a MSK specialist for a number of years appears to be sufficient. 1. 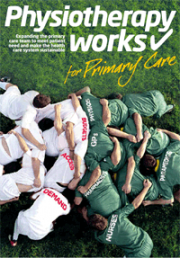 From the above studies, what are the main proposed benefits of physiotherpaists working in primary care? 2. 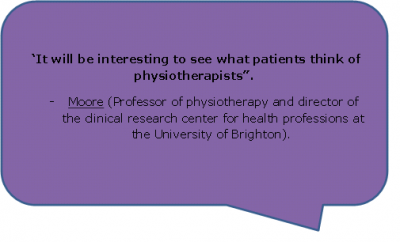 How did the patients feel about being seen by physiotherapists, rather than GPs? In recent years, physiotherapists have been placed in accident and emergency (A&E) departments to improve patient care, free up hospital beds by preventing unnecessary admissions and target optimal functioning of attendees. Emergency department physiotherapy is incorporated in the umbrella of an extended scope of practice. Clinicians in this area display a considerable depth of academic knowledge, clinical skills and experience and may be involved in providing interventions traditionally beyond the physiotherapy scope of practice . In addition to frontline emergency physiotherapy practitioners (EPPs), increasingly physiotherapists are being made part of the integrated multidisciplinary team working in A&E and on medical assessment units . In Scotland for instance, such teams are seen at the Borders General Hospital where the Rapid Assessment and Discharge (RAD) team are heavily involved in early patient contact, and the Integrated Assessment Team at the Victoria Hospital in Fife who carry out a falls assessment on every patient over the age of 64 attending A&E and assist with safe discharge . It is recommended that 80% of patients attending A&E not staying in to be admitted should have length of stay less than 240 minutes  . The following clips describe the RAD service offered by NHS Borders. Two members of the team, Joanna and Natalie, very kindly assisted us in constructing a few videos for the purpose of this section. Allied health professionals providing frontdoor services work to support medical professionals in assessing patients presenting with musculoskeletal conditions, helping to reduce breaches of this four hour waiting target and excessive delays BBC News Article: A&E Waiting in England Worst for a decade.This allows patients to be assessed and either admitted or discharged home in a timely and safe manner with appropriate resources put in place to prevent future re-admissions. The physiotherapist is able to liaise with the emergency multi-disciplinary team (MDT) and social services in deciding if the patient requires further input such as increased care package or community physiotherapy. 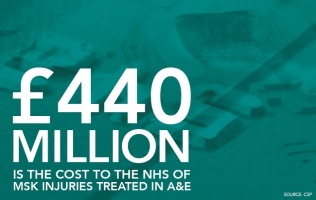 In August 2013, in response to NHS England’s urgent and Emergency Care Review, the CSP confronted the increased need for physiotherapy services in acute medical departments, including A&E . In view of the tight window in which to see suitable patients, NHS London Care Commissioning Standards state that many hospitals have reviewed their A&E services, extending emergency physiotherapy input to cover weekends and extended hours in order to maximise the cost-effectiveness of the service.Historically allied health professionals in A&E were occupational therapists due to their main role in the organisation of discharges. However, with the integration of health and social care advancing multidisciplinary team working, currently in situations such as these, there is an overlap in physiotherapist and occupational therapist roles in order to provide the best possible approach to patient-centred care. With the average cost of an A&E visit costing the NHS approximately £115 this method of service provision reduces direct costs with similar clinical outcomes . The CSP evidence-based briefing Physiotherapy Works: Accident and Emergency found that in 2012-2013 of the 18.3million people that attended A&E, around 21% presented with musculoskeletal (MSK) related injuries, an estimated £440 million worth of healthcare costs. It was recorded that 446,000 more people attended emergency departments throughout the UK in 2014 compared to 2013. Winter 2014-2015 therefore saw huge negative media coverage of A&E provision with increased demand and rises in missed targets with higher reported major incidents . BBC News Article: NHS set for a bumpy start to 2015. Incapacity in emergency departments was quoted as being “the biggest operational challenge facing the NHS” . Just recently on the 12th November 2015 the BBC reported the NHS were missing many of it's key targets for length of stay and access to treatments, highlighting that the NHS was in 'a worse position than this time lat year' The full article can be accessed here and reports that in September 2015, more than 5,000 patients in England were occupying hospital beds when they were well enough to be discharged. This is suggested to be largly due to delayed social services such as unavailable packages of care to enable the safe discharge of vulnerable individuals. Spending figures for the first three months of the 2015 financial year have shown overspending close to £1billion . This is more than the total financial cost in 2014 creating "the perfect storm" according to Dr Mark Holland, the president of the Society for Acute Medicine and putting additional pressures on the NHS to save money. The report also mentions that it is not just England that is lacking, it appears Scotland, Wales and Northern Ireland are struggling to meet set targets including A&E waiting times and accress to certain treatments and diagnostic tests. Approaching winter, this is not a good position for the NHS to be in and with the current new contract for Junior Doctors, problems are expected to rise with many walking out the colder months set in and those left anticipating a repeat of the 2014-15 crisis. In light of this, it is being more accepted that in order to lower the pressures and direct costs of these deficiencies, the skill mix of AHPs should be exploited not only in emergency departments but also acute care. If used properly, the abilities of physiotherapists could bring huge benefits in the assessment, diagnosis and treatment of MSK and chronic respiratory exacerbations such as Chronic Obstructive Pulmonary Disorder, in addition to providing vast experience and learning opportunities for the physiotherapists themselves . This may enable earlier discharges at a time when there NHS is seeing a record number of patients . Integration of roles requires training at masters level in addition to being signed off as competent. reports the role as a challenging varied environment with a high degree of responsibility and that previous MSK experience will assist with the management of what comes literally through the front door. Conditions can include minor head or rib injuries which if dealt with incorrectly can mean dealing with life or death situations . 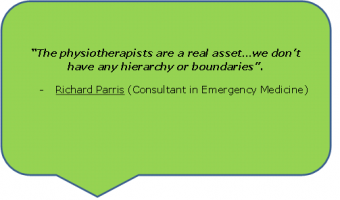 Richard Parris a consultant in emergency medicine is optimistic about the future of physiotherapists in the emergency department: “the physiotherapists are a real asset…we don’t have any hierarchy or boundaries”, however reports that it is not for the faint hearted . In Australia, emergency physiotherapists must have a minimum of 5 years clinical practice post-graduation including 3 years spent in a relevant specialist area. 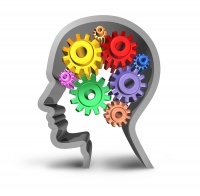 Additional training or postgraduate study in a relevant clinical area is also desirable . However, there is currently a lack of a clear direct career pathway to get to this position meaning that practitioners are responsible for developing their own range of specialist skills. MSK postgraduate or masters certificates tend to be more directed at outpatient and private physiotherapy roles instead of for use in the emergency department. In Australia, most emergency physiotherapists are undertaking short courses such as plastering, sports, spinal and vestibular to complement their practice. It has been realised that educational requirements for this sort of role placed within the broader health system network, however, needs to be standardised across settings in order to establish the wider effect of the service. Educational support including onsite training and supervision can be used as part of the programme in addition to certified courses in the absence of specific qualifications however this still means there is a lack of overall structure of training and defines the need for evidence-based regulatory. The following video was carried out with the RAD team in the Borders discussing their respective career paths prior to their current positions. The UK is the worldwide leader in innovative physiotherapy practice . Services are continuously changing to meet the growing and changing patient demands while increasing workforce flexibility . As a result there is an evolving need to provide practitioners with an ethical and evidence-based framework to support changing practice such as the development of the emergency physiotherapist role. Within Australia, career paths are widening for physiotherapists as they try to establish similar counterparts  due to an increasing demand on emergency departments. Some would argue the emergency physiotherapist role has been better suited to the political need to improve patient waiting times rather than patient outcomes, however, Taylor et al. and Smith and Buckley  found that patients with musculoskeletal problems presenting at A&E were just as, if not more satisfied to see a physiotherapist as the first point of contact. Crane and Delany  suggested that musculoskeletal physiotherapists expand their physiotherapy practice in the emergency department by requesting and interpreting radiology results, blood tests,x-rays managing minor wounds and fractures, applying plaster, managing analgesia and referring on to the most appropriate option in an efficient manner. Although predominantly involved with the management of MSK conditions, Anaf and Sheppard  comment on the emergency Physiotherapists role in effectively managing minor chest fractures, whiplash, recent burns limiting functional movement and torticolosis. Similar to the UK, in Australia Crane and Delany  found that EPs enabled doctors to treat more critical and complex patients faster and reduced overall waiting time through the emergency department. Taylor et al. found that when operating as primary contact practitioners, patient length of stay could be reduced by up to 59.5 minutes compared with secondary contact practitioners. In the same non-randomised controlled trial, waiting time and treatment time of those attending A&E was also reduced following treatment by an emergency physiotherapist compared to secondary contact. This was thought to be a result of bypassing the initial doctor’s assessment. In addition to reducing the workload of other staff, this system improved patient flow however had no significant impact on re-presentation rate When satisfaction rates were investigated in this study, 85% of patients attending a physiotherapist in the emergency department were satisfied with the treatment they received as were 82% of patients who first saw a doctor followed by a physiotherapist. However, those receiving the primary physiotherapy contact felt things were explained more effectively and that they were given more time to ask questions and discuss their condition. Similarly the study by Kempson  illustrated that the majority of patients (94%) felt that they understood the education given to them about their condition following emergency physiotherapy treatment, and 99% felt that they understood how they would progress thereafter. This demonstrated that physiotherapists were capable of positively influencing the education given in this emergency department however due to the single-site nature of this study, generalisability should be made with caution and with reference to further research. The systematic review conducted by Kilner  analysed the literature surrounding physiotherapists working as emergency practitioners, specifically its effect on health outcomes. Despite the previous findings, this research review did not fully support the engagement of physiotherapists in the emergency care setting. The ‘access block’ experienced across emergency departments worldwide requires government, economic and societal input overtime with physiotherapists working in emergency departments only a short-term solution to a long-term problem. However, Jododka and Lebec argue the need for mobility and exercise experts in the emergency departments and that when used appropriately, physiotherapists seen here can facilitate healing and prevent secondary complications. Morris and Hawes designed a small cohort study across 2 NHS hospitals providing the same medical team comparing emergency physiotherapy with conventional management for soft tissue injuries . 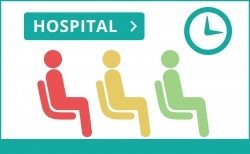 Through the measurement of physiotherapy referral rates , average waiting time and attendance levels they found lower physiotherapy referrals being made in the conventional emergency department and higher patient absenteeism. In the hospital providing emergency physiotherapy care however, there was improved attendance, decreased waiting time and many more referrals were made to this service. Kilner analysed that emergency physiotherapy affects outcomes on three main levels: system, provider and client. 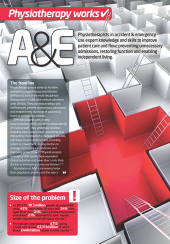 It was determined that although physiotherapists working in A&E were more likely to give advice to patients and arrange for follow up physiotherapy that doctors or nurses working in the same area, at a system and provider level however, there is insufficient existing evidence regarding the effects of physiotherapy in A&E. Richardson et al. for example conducted a randomised controlled trial which failed to establish the cost-effectiveness of such a service. Kilner  agreed that emergency physiotherapy resulted in increased patient satisfaction, decreased waiting times and improved clinical outcomes in the short term, however were not convinced of the reliability of its long term effects. A further selection of hospitals offering related services in the UK (please note this list is not exhaustive, it gives examples of the emergency physiotherapy services currently offered across the UK). 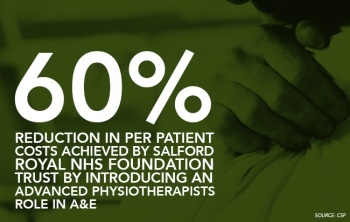 ● Salford Royal NHS Foundation treats 88500 patients in A&E annually. 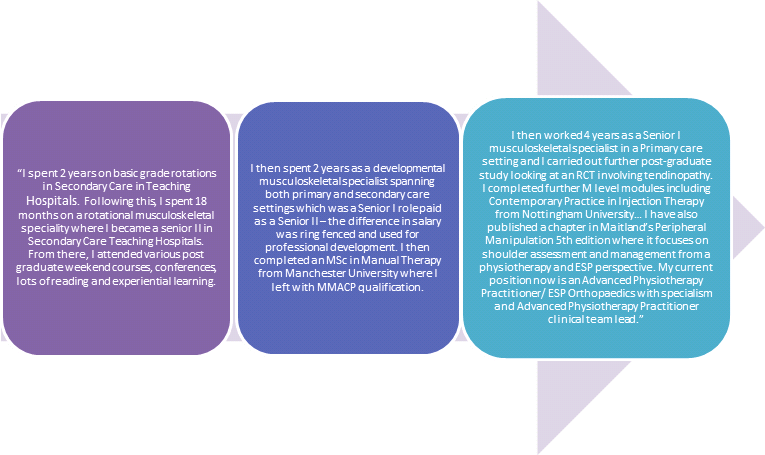 In 2010 an advanced physiotherapy practitioner role was introduced in the department to treat MSK presentations. This includes the ordering of x-rays and further tests in addition to managing on-going referrals. This service has been proposed to reduce waiting times while providing high quality and efficient service with direct access to a physiotherapist available to all presenting patients. The foundation has reported a cost saving of approximately £32 per patient (a 60% reduction) largely due to a reduced need for more expensive medical staff. ● The Royal Bolton Hospital provides clinical specialist physiotherapists in their A&E department to deal with their relentless influx of patients and attributes much of their success and enviable record of prompt treatment and discharge to this provision. 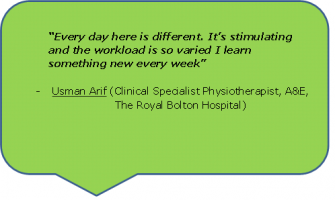 Usman Arif is one of these practitioners and also clinical lead for three additional physiotherapists sharing their time between the emergency department and MSK outpatients. He comments: “Every day here is different. It’s stimulating and the workload is so varied I learn something new every week” . The first pilot scheme was launched in 2003 with working hours 8am-4pm weekdays and 8-6pm at weekends with enhanced pay. In addition doctors in A&E have the scope to request a second opinion of a physiotherapist at a later date when very acute injuries and pain can limit their own initial assessment. Mr Arif went on to report: "we work with “minors” [those with less serious illnesses or injuries] as autonomous practitioners with an extended scope of practice, and also provide some input to paediatrics." Furthering this, many of the physiotherapists in this role are working towards their right to independently prescribe as discussed below. Often already holding supplementary prescribing rights, Mr Arif comments that this is not adequate when working in A&E with patients you don’t see on a regular basis. ● At Derriford Hospital in Plymouth , Physiotherapists work in a variety of settings including A&E. The medical rehabilitation team provide a seven day service across emergency care including the Medical Assessment Unit, short-stay ward, Clinical Decision Unit and A&E whilst also proving a six day service to the care of the elderly wards. The team work across disciplines to provide optimal care and work together to plan appropriate discharges for patients with a variety of musculoskeletal, respiratory and neurological conditions. •In Edinburgh, the Western General Hospital’s ‘Minor Injuries Clinic’  is open 7 days a week 8am-9pm. The service is staffed by a specialist nurse, a paramedic and a physiotherapist working together to provide treatment for musculoskeletal injuries, soft tissue injuries, minor fractures and burns. The team are able to order x-rays, administer vaccinations, prescribe analgesia and make onward referrals alongside providing invaluable advice to patients with non-fatal conditions. This takes the pressure off the city’s emergency department allowing them to prioritise and treat patients in critical conditions more efficiently. This service treats around 25,000 people every year making it one of NHS Lothian’s flagship services and front lining quality care provision. ● The Burton Hospitals NHS Foundation Trust  in Staffordshire hold a physiotherapy clinic in the Emergency Department where people with acute musculoskeletal or sports related injuries such as sprains and acute back pain can be treated imminently preventing recurrence and shortening recovery time. This also allows the physiotherapists to arrange follow-up physiotherapy in the department or outpatient department for longer term treatment as and when required. The physiotherapists in the emergency department work very closely with the A&E consultants, doctors and nurses and are thus able to refer patients on for further assessment by the appropriate professional should it become necessary. Like the RAD team in the Borders, the doctors and nurses are able to make referrals to the emergency physiotherapists should patients attend out of normal clinic hours who will be contacted promptly and further assessment arranged with them. ● The Physiotherapy service  offered by the Mid Yorkshire Hospitals NHS trust across Pinderfields Hospital, Dewsbury and District Hospital and Pontefract includes an emergency on-call physiotherapist 24 hours a day via an out-of-hours on call service. This provides patients with reassurance that they have access to a physiotherapist directly. and outside of normal 8am-5pm clinical hours. Additionally their ‘Physio Direct’ service allows patients to speak to a physiotherapist at certain hours throughout the day regarding musculoskeletal and soft tissue injuries. This service provides patients with the appropriate further information and contacts if necessary or the physiotherapist may arrange for an outpatient appointment to be made. This therefore reduces the amount of minor injuries walking through the doors of the A&E department. The biggest challenge to physiotherapists working in emergency care settings is a lack of adequate funding.Crane and Delanyhowever also found that there was a possibility that patient satisfaction with primary contact physiotherapists could be due to the decreased waiting time they experienced rather than the interaction had and treatment received from the professional. In addition to this they found that there was nothing specific to say that the decreased waiting times were not due simply to an extra member of staff working in the department, not necessarily a physiotherapist. However they felt that by varying the skill mix in the department, better outcomes were being achieved and McClellan et al. analysed that even when compared to a doctor, patients with MSK related conditions preferred to see a physiotherapist directly. Despite these boundaries, Taylor et al. analysed that both patients and fellow staff reported high levels of satisfaction with emergency physiotherapists. The main variation came from staff knowledge regarding the proficiency and scope of emergency physiotherapists of which they (Taylor et al.) investigated. This was particularly true amongst other staff members in the emergency department. It appeared [in Australia] there was a general debate as to if physiotherapists were working with an extended scope of practice or if they were just advancing their already established skills. However, in the UK, emergency physiotherapists have been defined as ‘clinical specialists working beyond recognised scope of physiotherapy practice in innovative or non-traditional roles ‘ . 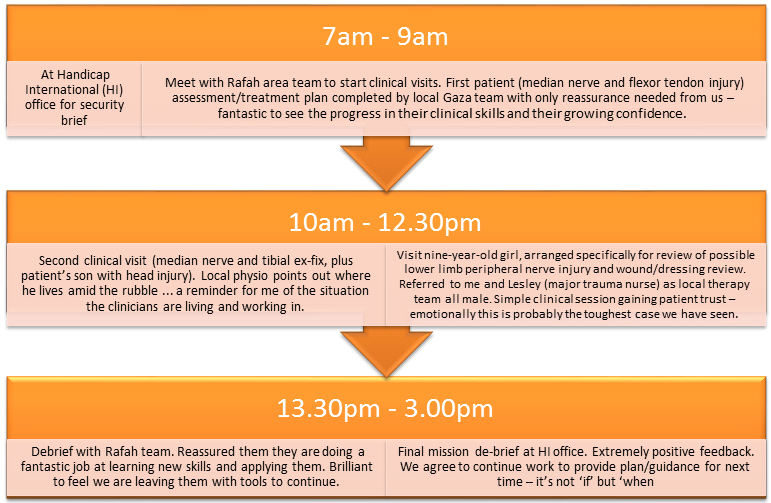 Working in newly formed teams can prove difficult for physiotherapists in emergency settings. Inter-disciplinary relationships must be built quickly in a pressurised environment where individuals tend to have more responsibility than other roles  as unlike outpatient and inpatient settings, emergency departments are much less hierarchical resulting in an increased level of duty. 1. What part does physiotherapy in emergency care settings have to play in the 20:20 Vision and AHP National Delivery Plan for Scotland? What proposed benefits will most likely facilitate these strategies? 2. Think back to a previous visit to the accident and emergency department either for yourself or a family member/friend, perhaps before you commenced your physiotherapy career. How would you have felt being treated by professional that was not a doctor? Do you think this would have affected your views of the service provided? Take a few moments to reflect on how you would have reacted in this situation previously compared to how you may react now having read the above information. After campaigning for ten years the bill was passed in favour of the chartered society of physiotherapy to allow independent prescribing in physiotherapy in the United Kingdom (UK) in August 2013. The legislation was passed at different times around the United Kingdom with England being the first in August 2013 as described in this article. Scotland was next in May 2014, Northern Ireland also in 2014 and Wales to Follow in September 2014, as described in this article. Professor Ann Moore, professor and director of clinical research at the University of Brighton compares independent prescribing to the quite recent development of self referral to the service. This landmark decision ‘will hugely improve the care we can provide to our patients’ said CSP chair Dr Helena Johnson. Currently statistics from the HCPC illustrate that there are 94 physiotherapists across the UK who are registered as independent prescribers. Physiotherapists as part of the multidisciplinary team, play a key role in ensuring holistic care in the management of illnesses to ensure a high standard of care. ‘By introducing these changes, we aim to make the best use of their skills and allow patients to benefit from a faster and more effective service’ says Earl Howe, Department of Health’s under secretary for quality. The UK is the only country in the world to allow trained physiotherapists to independently prescribe medication. Clinicians will be able to treat patients as one stop care. Respiratory conditions, neurological disorders, rheumatic conditions and women’s health issues will be able to be treated more autonomously. 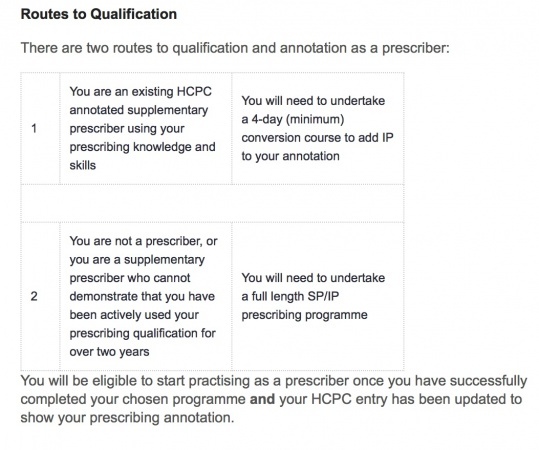 According to the Practice Guidance, The Health and Care Professions Council (HCPC) allows physiotherapist prescribers to practise either as independent or supplementary prescribers only within the UK, independent prescribing is not licensed outside of the UK jurisdiction. 1. Supplementary Prescribing: Allows the physiotherapist to prescribe, supply and administer licensed, unlicensed and all controlled drugs as long as it is in partnership with a doctor or dentist. The physiotherapist can only supplementary prescribe if the medication to be used is defined in writing according to the appropriate needs of the named patient within a Clinical Management Plan. 2. Independent Prescribing: Allows the physiotherapist to prescribe, supply and administer licensed medicines, mixed medicines and limited list of seven controlled drugs. The seven controlled drugs include the following only because they are liable to misuse and/ or overdose. The responsibilities of non-medical independent prescribers are different to that of medical prescribers and cannot be compared. Physiotherapists can independently prescribe to conditions that are within their scope of practice. So for example a supplementary prescriber may prescribe controlled drugs under a written Clinical Management Plan. Where as an independent prescriber can prescribe seven drugs from the controlled drugs list. supporting patients to remain working by facilitating one more access point for receiving medication. Allowing patients to self manage conditions by providing correct medication. Around 15 million people across the UK currently live with a chronic illness which requires frequent visits to the GP. Most of these patients would benefit from this legislation as it would improve their care if they didn't have to be juggled around health care practitioners. Allowing physiotherapists to prescribe eliminates a layer of bureaucracy and would mean treatment in a timely manner. The aim of this advancement in practise is to enhance patient care by delivering a faster more effective service and allowing independent prescribing physiotherapists to be accountable for full range of care, as physiotherapists have already been supplementary prescribers since 2005. 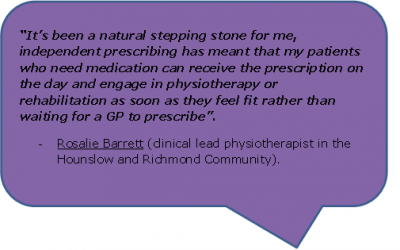 Additionally, independent prescribing is definitely a step in the right direction, as supplementary prescribing hinders the self referral pathway to physiotherapy as clinicians independently assess, diagnose and manage conditions; Having to go back to the GP to sign a prescription would defeat the purpose as waitlists to see a physiotherapist is 10 weeks on the NHS. 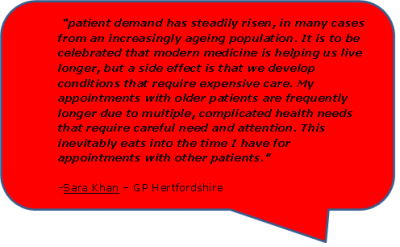 The following article illustrates how beneficial independent prescribing is to patient care, as GP appointment times are having longer and longer waiting lists. The act of prescribing medication is of advanced practise in nature, whereby only senior physiotherapists with specialist education and training approved by the Health and Care Professions Council (HCPC) can undertake. The department of Health has published cirricula that higher education institutions are required to follow in order to be an accredited program in independent prescribing. Out of the total of 49 institutions across the UK, 5 Scottish Universities offer the program which is funded by the Scottish Government. The HCPC has approved courses at Edinburgh Napier University, Glasgow Caledonian University, Robert Gordon, University of Dundee, University of Stirling and University of the West of Scotland. Courses can be completed as full time or part time, and involve a mix of university in class hours, clinical days and exams. Innes Morton's Alumni profile can be found here. As it has only been 18 months since independent prescribing for physiotherapists has been approved in Scotland, there is limited research published on its effectiveness. However the following link shows currently the university of Surrey, England is carrying out a study which aims to explore the effectiveness of independent prescribing physiotherapists and podiatrists. This study is expected to be completed in June 2016. The goal is to evaluate whether there are differences in the quality of care and cost of services. This illustrates how independent prescribing rights allow her to support her patients better and there is no delay in their treatment and how independent prescribing has a huge impact on patient care and it potentially improves treatment outcomes. Rosalie Barrett further describes how the knowledge from this course taught her to assess each patient differently and that, having an enhanced understanding of medications has developed her clinical reasoning and patient management skills. Lisa Burrows, who is an advanced specialist in vestibular physiotherapy practises at a balance clinic run by Southport and Ormskirk hospitals was the first to qualify as an independent prescriber. She conducted a self-audit of her work at her clinic. Her findings show that 58% of the patients that attended the clinic received a medication input far more than any other intervention. and Out of the 500 patients treated in the previous year, she had identified 5 patients who had experienced balance and disease as a side effect from medication they were taking. This shows how the knowledge around medication and doses can improve the ability to treat, the skills of independent prescribing eliminate the barriers to treatment and as Lisa Burrows says potentially stops complications in ‘the pathway [as] some GPs would not prescribe certain drugs for funding reasons.’ The balance clinic triages patients experiencing vestibular symptoms and about 95% of the patients are treated by herself and an audiologist without needing to refer to an ENT doctor. This shows how physiotherapy is becoming more autonomous as being able to manage all aspects of patient care, being able to independently asses, diagnose and treat including medical care. One of the challenges is that currently, physiotherapists can only prescribe the following seven drugs for pain medication as they are classed as ‘controlled. Another current challenge is drug storage in clinical practise. As independent prescribing is a recent development, health service centres may require new storage facilities. Additionally, currently clinicians can independent prescribe implementing the PGD framework. This is designed for short term care, and would not be appropriate for the drug administration of long term care and patients needing on-going therapy will still need to see a doctor for this. The CSP professional advisor Pip White told Frontline that ‘The next step is to start work to revise the list, [and to progress this] I will be talking to the Department of Health and the Medicines and Healthcare Products Regulatory Agency. 1. Put yourself in a hypothetical patients shoes’ who got referred to physiotherapy after a 10 week waitlist. How does it feel to have to return to your GP to get a prescription signed off and return to a physiotherapy follow-up? 2. As a physiotherapy student do you think pharmacology should be included in the core curriculum of the degree program? If it was included, do you think it would help us achieve the 20:20 vision? In the context of physiotherapy practice, injection therapy is the use of selected prescription only medicines (POMs) which are administered via injection to the intra-articular tissues, extra-articular tissues and joint spaces. Injection therapy also includes the aspiration of joint spaces. - Inflammatory pain from orthopaedic and rheumatic conditions. - Spasticity and dystonia from neurological conditions. - Chronic headache from musculoskeletal or neurological origin. - Bladder disorders in women’s health physiotherapy. Vaccination, subcutaneous and other parenteral administration of drugs, while being dispensed via injection, are not considered as injection therapy. Physiotherapists must prove themselves to be competent in delivering injections before offering this as part of their practice. They may choose to specialise in anatomical areas or conditions, so this will determine what level of learning they may require to undertake. Physiotherapists have an added advantage over doctors when administering injections in that they are able to provide the appropriate exercises at the same time to target the muscle groups or joints which are affected by the programme. These exercises can be for very shortly after the steroid injection, for when the flare has settled in the joint to prevent further appointments being made or for both. The patient is then able to go home and safely exercise the area after the injection and may not require further input from physiotherapy or a doctor for that specific problem. As mentioned in the introduction, injection therapy has been used in physiotherapy since 1997. The introduction of prescribing rights for physiotherapists recently has increased the means by which physiotherapists can access medicines. In addition, the growth of private physiotherapy providers has required a greater understanding of medicine within non-NHS settings. A PSD is an instruction from a prescriber of medicine to be administered to an individually named patient. The physiotherapist must only dispense the medicine in accordance with the instructions provided by the prescriber. Some non-medical independent prescribers, including physiotherapists are permitted to prescribe the mixing of licensed medicines, and can prescribe a differing range of controlled drugs, according to profession. A senior doctor and pharmacist in union with the physiotherapists, define in writing the named drugs that may be supplied or administered to groups of patients. The PGD must meet specific legal criteria in order to be valid. Only licensed drugs are included in the PGD and the physiotherapist named on the PGD must be registered with the HCPC. The physiotherapist must only supply and administer medicine in accordance with the instructions on the PGD. PGD’s are valid in all NHS hospitals and primary care settings. Under the terms of the Human Medicines Regulations 2012, mixing two licenced drugs such as a local anaesthetic and a corticosteroid creates a new unlicensed drug which cannot be dispensed under a PGD. - Administer pre-mixed commercially available drugs which are licenced e.g. Depomedrone with Lidocaine. - Administer two separate injections. - Do not use local anaesthetic. In regards to insurance, as per the terms of the CSP’s professional liability insurance scheme, members must practice lawfully within the scope of physiotherapy practice. With the ever increasing strain upon the NHS due to free healthcare causing excess demand, waiting times to see a general practitioner (GP) can be lengthy and may be an un-necessary process when another allied healthcare professional (AHP) may be able to treat the patient. AHP’s providing injection therapy is a cost effective strategy for the NHS to employ. It enables shorter patient journeys, and in a report by NHS Tayside has been found to contribute to less GP appointments and reducing orthopaedic waiting lists. Over 99% of patient treated in NHS Tayside with a corticosteroid injection as part of their treatment, were managed solely by AHP’s. A mere 0.06% were appropriately referred to a consultant led service, resulting with a potential saving to NHS Tayside of over £150,000. This is based on a consultation including an injection plus a follow up appointment with a physiotherapist costing £37 for a band 6 physiotherapist, £41.26 for a band 7 physiotherapist and for a consultant to carry out the same procedure, would cost the national health service £227. NHS Tayside administered 798 injections by AHP’s over the 2013-2014 period, which is an increase of 30% on the previous year. 94% of patients reported an improvement in pain scores using the Visual Analogue Scale (VAS) reporting method. The report indicates great benefits to patient care with an evidence based AHP approach to treatment, combining injection therapy and exercise as part of the care plan. A second study by Jowett et al (2013) found that the mean costs for the NHS for patients receiving were lower in the injection plus exercise group compared with the exercise alone (£261 v £318), as this resolved the problem quicker and entailed a shorter journey through the healthcare system to recovery. With physiotherapists now working in primary care as previously mentioned, and some physiotherapists gaining prescribing rights in the UK also, this is making injection therapy a more accessible and cost effective way for the NHS to save both money and time and have patients seen by the appropriate people. According to the CSP, initially it was doctors who trained physiotherapists in the injection technique. However, the published educational guidelines produced by the CSP in 2011 expects all physiotherapists who wish to practice injection therapy to meet these set standards. All members should be outfitted with all the abilities required to enable safe injection under a variety of legal frameworks. Mainly, within the NHS, the practitioner should have experience as a physiotherapist and the majority of injection therapists are band 6 or higher. If a physiotherapist is under supervision of a doctor as part of the training procedure, the supply and administration of the medicines to patients comes under the framework of a PSD. Another qualified physiotherapist who is competent in injection therapy may supervise the trainee. However, law states that supply and administration of medicines under a PGD cannot be delegated, so the physiotherapist actually administering the injection must be named on the PGD. So if a physiotherapist is supervising the trainee-injector, both parties must be named on the PGD document. In terms of competence, it is perfectly acceptable for a physiotherapist competent in delivering injection therapy to be involved in teaching doctors injection-therapy techniques. - A higher education institution offering an accredited module. - A course offered by a professional organisation or network. - A period of structured work based learning. 1. Enable physiotherapists to achieve outcomes set out in the educational expectations document. 2. Include elements of supervised practice which are overseen by a qualified practitioner in injection therapy which allows trainees to develop knowledge skills in a safe and legal environment. 3. Include assessment of the trainee’s learning. A large amount of injection therapy includes the use of a corticosteroid to reduce inflammation in a joint. A steroid injection can be administered into the joint space to suppress inflammation in joints and connective tissues, suppress flares in rheumatic joint diseases and can stop the inflammatory response in a soft tissue injury. These are usually administered along side a local anaesthetic to provide an immediate relief from the pain as well as working as pain relief to the steroid injection itself. Common complications and side effects of the steroid injection can include soreness and bruising at the site of injection, increased pain in the affected area (up to 7 days), light headedness, and less commonly, haematoma, infection at the site of injection, fainting or allergic reaction. They may be contraindicated due to pregnancy, epilepsy, diabetes, if the patient has a cold or fever and are nervous about needles, hospitals or medical practitioners. Injection therapy is a post-registration activity due to the nature of the job. Since 2011, the CSP has set educational expectations for physiotherapists who wish to partake in injection therapy. Physiotherapists must be able to exhibit 150 hours (20 days) of learning at either level 3 (Bachelor’s) or level 4 (masters) level to ascertain their aptitude in injection therapy. - Provide evidence of current and valid HPC registration. - Provide evidence of appropriate insurance to practice. - Be currently working in a country where injection therapy is considered within the scope of practice. - Be able to display relevant physiotherapy aptitude, skills and experience in the assessment and diagnosis of clinical conditions which may benefit from injection therapy. - Be able to identify the benefits to patients in offering injection therapy. - Have formally identified and entered an agreement with a supervisor for the practice based learning before commencing the course. - Be practicing in a role or moving into a role where injection therapy is an essential element of practice. - Have access to the relevant medicines through a setting-appropriate legal medicines framework which are required for injection therapy. - Valid CPR/ Basic life support certification. - Valid anaphylaxis management training (may be offered as part of the course in injection therapy). - Appropriate Hepatitis B immunisation. According to the CSP, programmes must include theoretical and practice-based components, along side a formal assessment of the participant’s learning. The provider of the programme have options as to how they design and deliver the course. However, all programmes must cover the 7 topic areas listed below. Within physiotherapy practice, the whole process of injection therapy combines the full assessment, diagnosis and reasoning process to ensure the patient is treated most effectively. 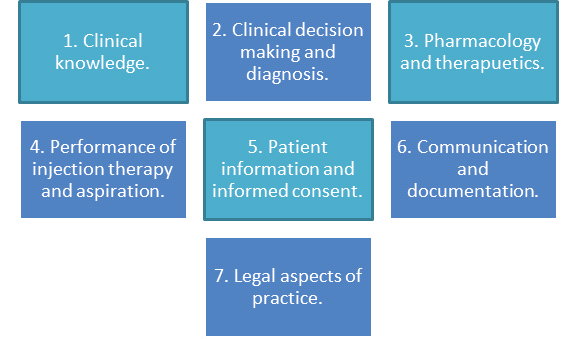 The focus of programme content being built around the 7 areas noted above should be on enabling participants to develop knowledge and skills within the scope of practice. It should also focus on further developing the current knowledge and skills held by the physiotherapist in line with achieving competence in injection therapy. 1. Knowledge and understanding of applied human anatomy, physiology and pathology in the musculoskeletal and/or neurological physiotherapy context. 2. The ability to clinically reason a patients musculoskeletal and/or neurological dysfunction and evaluate a patient’s suitability for injection therapy. 3. Knowledge and understanding of the pharmacology of the medicines used in musculoskeletal and/or neurological injection- therapy and the indications and contraindications for injection therapy. 4. Demonstrate technical proficiency in a range of injection therapy techniques used in musculoskeletal and/or neurological injection therapy, and proficiency in managing emergencies, complications, unexpected effects and aftercare. 5. The ability to communicate effectively with patients with regards to treatment selection and choice, and the integration of injection therapy into a total-rehabilitation plan. 6. The ability to create an accurate record of the injection therapy management delivered, that is shared with all those in involved in the care of the patient. 7. Knowledge and understanding of the regulation and control of medicines as they apply to 1) physiotherapists and 2) the healthcare delivery setting in which the physiotherapist practices or plans to practice. Below is a short YouTube video entailing an intra-articular shoulder injection for a patient with arthritis. Although the products used in the video are different to those mentioned earlier in the text, the technique is similar. The CSP expects all members who compete a course in injection therapy to keep evidence of the learning they have undertaken to establish and demonstrate competence in the area. This should state all topics covered in the programme, the structure of the programme and the learning outcomes in which they were assessed against. They must also hold proof of the successful completion of the course. The paper summarised an audit of injections between 1999-2008. The results showed that there were a total of 1263 injections – 76% were upper limb, with just under half (345) being shoulder sites. They also found that 34% of shoulder injections were repeated. Adverse reactions were also measured, including 2 patients who suffered anaphylaxis, indicating that the injections were on the whole a usually safe with only a small percentage of people suffering from adverse reactions. Much of the evidence base for injection therapy to be carried out by physiotherapists crosses over with the Primary Care evidence. Physiotherapists seeing patients at an earlier stage enables prompt treatment which may be more effective and can prevent short term problems from evolving into long term conditions. Patient A has a 10 year history of rheumatoid arthritis, however, she does not suffer from regular flare ups. The patient knows when she has a flare up, if it is not medically managed quickly with a corticosteroid injection, the flare up lasts for significantly longer than if it is treated promptly. Patient B is in a similar situation with her medical history however when she calls up the GP practice, she is given an appointment with a primary care physiotherapist for later in the week. At her appointment with the physiotherapist, she has a consultation and injection of corticosteroid into the affected joint. The physiotherapist also provides her with an exercise programme for range of movement of the affected joint, and a strengthening programme for when the flare up settles. She then has a follow up appointment with a rheumatology physiotherapist 3 weeks later and is discharged. Some of the challenges in which practitioners may face in becoming qualified in injection therapy may lead back to the issues with funding within the NHS. Physiotherapists must be able to justify why their workplace will benefit from having an AHP qualified in injection therapy. This may be further complicated if there are no other qualified members of staff able to supervise the trainee through the practice based process. Another challenge which may be faced by therapists when injecting involves the medications themselves. If there was no pre-mixed local anaesthetic and corticosteroid, should the corticosteroid be administered with no local anaesthetic? To mix the two individual substances in a syringe is constituted as making a new substance and is illegal to administer. However, this is permissible if the mixing is done as part of a clinical management plan where a Doctor shares responsibility. 1. Consider your place of work, or if you are a student, think back to a placement you have had recently. Imagine there was an opportunity for someone on the team to be put forward to become trained and competent in injection therapy. Consider three reasons to try to justify yourself to be put forward for the course? 2. a) How would you feel as a patient to phone the GP to have a steroid injection and be treated by a physiotherapist instead? Take a few minutes to reflect on how this would make you feel. b) Now consider the older generation who may not know the scope of practice for a physiotherapist. How do you think this situation would make them feel? Physiotherapists have a critical role in helping people that have been affected by pandemics, natural disasters and other major emergencies. Physiotherapists need to be engaged at an organizational level so that they can provide appropriate services to affected communities and areas by saving lives and improving outcomes for survivors of these emergencies. - ensure that areas have adequate access to appropriate physiotherapy treatment/interventions which includes rehabilitation to achieve best possible care for their needs. Here is a video about physiotherapy in emergency settings from Doctors without Borders. It describes some of the things a physiotherapist will see and encounter in these type of settings. He informed that for the first time, physiotherapists were being initiated into emergency medical teams such as UKIETR. This new emerging role is being led by the World Health organisation (WHO) and in the UK, they are building its professional capacity to respond to emergencies via the UKIETR. This includes the training and recruitment of medical and allied health professionals by UK – Med and save the children. Members will receive full training in humanitarian response, funding for the project and also backfill payments into the NHS. Handicap international have facilitated the recruitment of RP’s to the UKIETR. From this they have developed a rehabilitation specific training in collaboration with 10 different professional networks in the UK. They have developed theoretical and practical training components covering spinal cord injury, amputation, fracture, burns, nerve injury and soft tissue injury. The involvement of the professional networks is crucial as it ensures training is based on current best practice and gathers input form the UK’s leading clinicians. At this present time, 63 rehabilitation professionals are on the register. One physiotherapist has been deployed to Typhoon Haiyan in the Philippines and 9 physiotherapists have been deployed to the Gaza crisis to treat patients and to provide specialised education to local health professionals. Peter Skelton concluded that this is the first time specialised humanitarian training has become available to those who wish to work within humanitarian emergencies. However he believes there still needs to be an improvement in recruitment of physiotherapists who are highly skilled in trauma. Doctors without borders are a group of health professionals which help people deal with the complications of war. They are a international humanitarian organisation who are best known for their contribution in war - torn regions and developing countries. At this present times, they have 60 on-going projects around the world. Their main aim is to provide healthcare support to those needed, however they also carry out research to provide evidence which supports the healthcare they are providing. Sometimes these organisatinos assemble teams to serve in a particular area for week, sometimes even months. Careful planning and consideration by the individual physiotherapist needs to be taken to see if this is appropriate for the individual. Sometimes groups ask volunteers to make a 3 month commitment and often more on particular disasters. That is not to say there are not any paid positions. Online there are always job postings all over the world pertaining to certain situations that are happening around the world. Being hired by organizations and governments is cost effective for countries and the organisations themselves because they save money with volunteers and can use that money to help affected areas throughout emergencies. It is also cost effective in a sense where they don't have to hire doctors who demand a much higher salary than physiotherapists therefore physiotherapists can potentially be less of a burden financially to organizations. •Have a Bachelors Degree in Physiotherapy or a related subject then you will be suited for this project. •Ideally, a qualified physiotherapist would also possess at least two years’ experience of practicing professionally. Although there are not many specific qualifications and training necessary for physiotherapists in humanitarian situations, Cassady et al. 2014 did a qualitiative study in what competencies physiotherapists should have in terms of global health. So for physiotherapists from Canada, there are 7 roles which are expert, communicator, collaborator, manager, advocate, scholarly practitioner, and professional. These 7 roles were identified by the physiotherapists in the study, along with global health learner, critical thinker, and respectful guest . A physiotherapist going into any humanitarian effort or global health situation should have a fundamental grasp of all these roles. Physiotherapist jobs in humanitarian efforts can appeal to both recently qualified physiotherapists and older, experienced physiotherapists. If you are an experienced physiotherapist with years of experience under your belt, this opportunity can be something that will give a different type of experience, and the skills you contain from years of experience can be very vital in emergency situations. For newly certified physiotherapists, this can be an opportunity for work experience right after qualifying especially if one can't find a job. Regardless of level of physiotherapist, this opportunity would be for any physiotherapist with a desire for a personal and professional challenge. A heavy and very diverse workload was about of their description. Very long working hours, and a fear of burning out was a consensus amongst the 6 physiotherapists interviews. The cultural and language differences were barriers to treating patients that they had to deal with. These physiotherapists experiences increased pressure and stress while also being on call for emergencies. Their scope of practice was very broad since in their current job they could see all types of issues ranging from musculoskeletal, to cardiorespiratory, to amputations, multiples trauma and even burns. The toll that it takes on them psychologically being in that environment. All participants acknowledges they suffered to a certain degree some sort of psychological strain. They felt that they had to pay extra close attention to their own health, as they were the only physiotherapists and if they were unable to work they would affect almost every operation. Everyone interviewed always focused on how highly rewarding this was for them, on a personal and professional level. They also felt an increase in a sense of purpose. 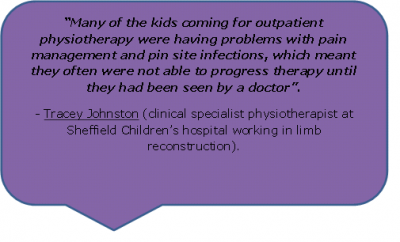 The study shows that from experiences of physiotherapists on site, there are many challenges that come with taking on this job. It is noted that they are highly stressful and challenging, but proven to be very rewarding and career-satisfying. Improved personal and peer support for physiotherapists in humanitarian efforts needs to be given, as well as improved pre-deployment training to improve capabilities of humanitarian physiotherapists . Since humanitarian physiotherapy is not specific to one geographic area it is hard to regulated by one governing body. Professional bodies, like the CSP can have certain rules and regulations to follow in terms of what physiotherapists from their body should do and partake in, but since these efforts can be literally anywhere in the world it can be dependent on the organization employed in the area that the emergency or disaster has occured. A study by Armstrong et al looked at the conflict in Sri Lanka in 2009, there was an increase in orthopaedic trauma within civilians, especially with spinal cord injuries. Therefore, doctors without borders implemented a multidisciplinary team rehabilitation unit. Patients were only admitted if they had a spinal cord injury due to the conflict and were assessed through a SCIM score. Within the rehabilitation unit, patients received treatment from nurses, physiotherapists, had bowel and bladder training, mental health care and vocational rehabilitation. Patients were discharged from the unit when they were able to cope with the demands of day to day life by themselves or if they had assistance of a caregiver at home. Their outcome measures were discharge to the community and change in SCIM core on discharge. From their results, doctors without borders found that 79% of SCIM scores were stable or improved compared the score on starting the program. They also found that there was less spinal complications in patients after the completed the program. Therefore, they concluded that delivery of effective rehabilitation for spinal cord injury is possible in complex humanitarian emergency situations. A multidisciplinary approach, including psychological support along with partnerships with local and international organisations with specialised expertise, was vital to the program’s success. Therefore these findings from doctors without borders show that effective physiotherapy care can be provided but only with funding, equipment and a multidisciplinary approach. In Cameroon, there was a major issue with buruli ulcer, an infectious disease carried by micro organisms living in slow running rivers. Talking in 2011, Eric Comte, who is the medical director of doctors without borders, states that to carry out eh work in Cameroon. Therefore it shows first hand, that one of the problems limiting humanitarian physiotherapy is the lack of qualified physiotherapists who are willing to give up their time and volunteer in humanitarian projects. '1. When you graduate, would you consider working as a humanitarian physiotherapist? What reasons do you have for you decision? 2. How would you define the role and responsibilities of a humanitarian physiotherapist? 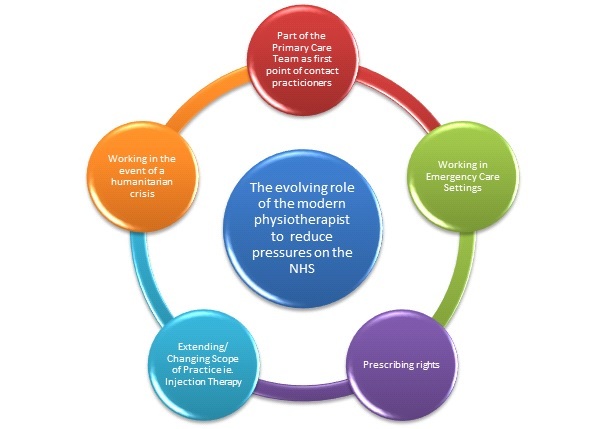 The five emerging roles described are a few out of hundreds of strategies being used to enhance the work of physiotherapists in reducing pressures on the NHS. As summarised on the left,there are many overlaps into why these strategies are being put in place. In the most part, these pressures are time and budget related as the NHS adjusts to an ever expanding population. It is hoped that this resource enhances the knowledge of new graduates and junior physiotherapists beginning their climb up the physiotherapy career ladder. 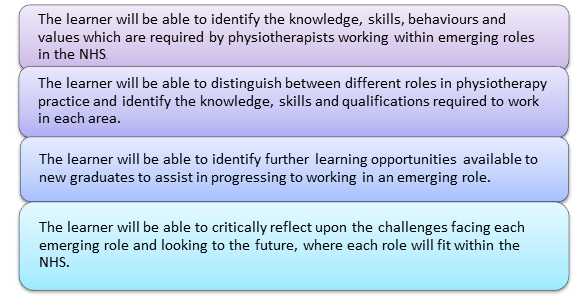 After studying the vailable literature, the benefits of physiotherapists working in these emerging roles are clear. Physiotherapists, if given the correct training, have the ability to work outside their current scope and appear to have tge support of other Allied Health professionals. It is now up the NHS hierarchy to allow physiotherapists to take on these advanced roles, for example, injection therapy and working in GP practices. In the exploration of these topics, we asked various individuals if they had any advice for current students, recent graduates and junior physiotherapists beginning their own career journey. ↑ 21.0 21.1 LUDVIGSSON, M.L and ENTHOVEN, P., 2012. Evaluation of physiotherapists as primary assessors of patients with musculoskeletal disorders seeking primary health care. Physiotherapy. Vol. 98, no. 2, pp. 131-7. ↑ 25.0 25.1 PINNINGTON, M.A., MILLER, J and STANLEY I., 2004. An evaluation of prompt access to physiotherapy in the management of low back pain in primary care. Family Practice. Vol. 21, no. 4, pp. 372-380. ↑ HOLDSWORTH, L.K., WEBSTER, V.S and MCFADYEN, A.K., 2008. Physiotherapists’ and general practitioners’ views of self-referral and physiotherapy scope of practice: results from a national trial. Physiotherapy. Vol. 94, no. 3, pp. 236-243. ↑ SMITH, M., and BUCKLEY, S., 2004. Collaborative working. Emergency Nurse. vol.12, pp.16–8. ↑ KEMPSON, S., 1996. Physiotherapy in an accident and emergency department. Accident Emergency Nurse. vol. 4, pp.198–202. ↑ MORRIS, C., and HAWES, S., 1996. The value of accident and emergency based physiotherapy services. Journal of Accident Emergency Medicine. vol.13, pp.111–3. ↑ WHITE, P. 2011. Chartered society of Physiotherapy expectations of educational programmes in injection therapy for physiotherapists: supporting good governance in neurological and musculoskeletal injection therapy. Journal of the Association of Chartered Physiotherapists in Women’s Health. Vol. 109. Pp. 21-29. ↑ ARMSTRONG, J, C., NICHOLS, B, E., WILSON, J, M., COSICO, R, A., & SHANKS, L. 2014. Spinal cord injury in the emergency context: a review of program outcomes of a spinal cord injury rehabilitation program in Sri Lanka. Conflict and health. Vol 8(4).